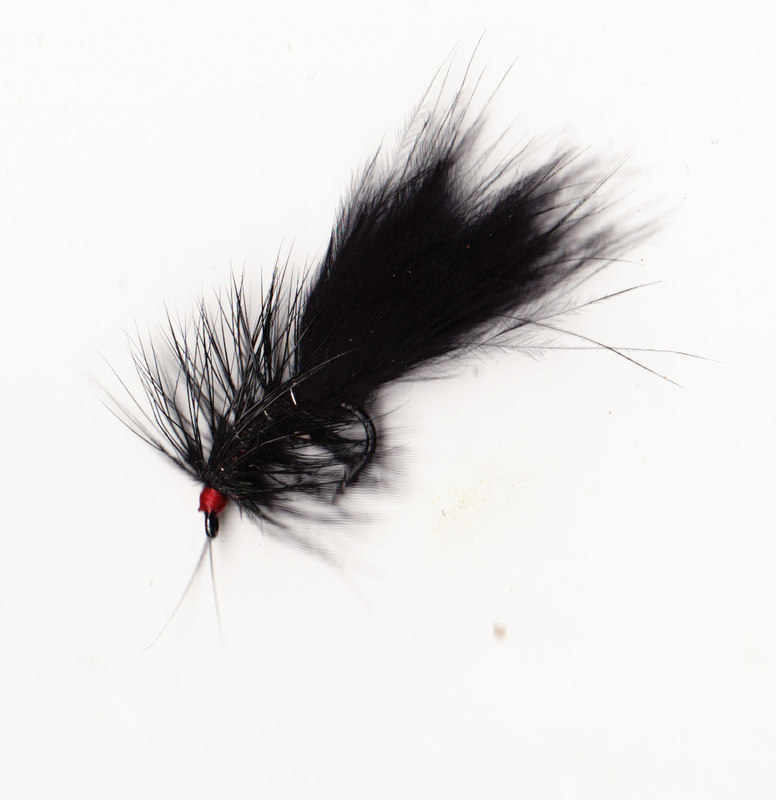 Fishing a two fly (Hebridean Cast), or three fly team is first choice for many. 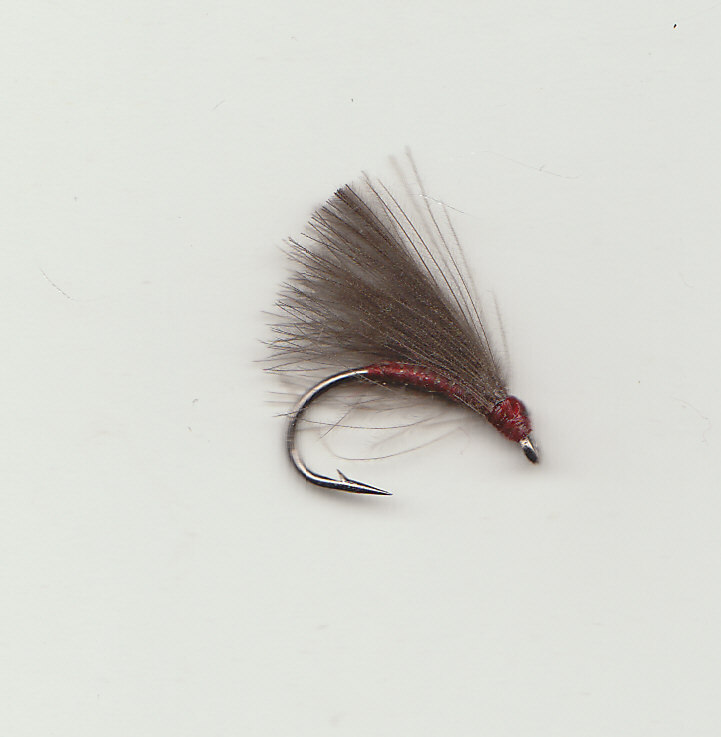 However it is wise to include some 'Flies for Rising Trout and 'Flies for when Trout are not Rising' as well. 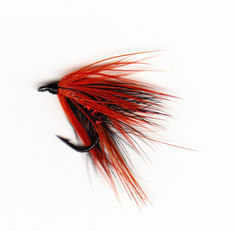 Small flies are often the best bet for Salmon some suitable tyings are suggested. These are useful to try whether fish are rising or not! 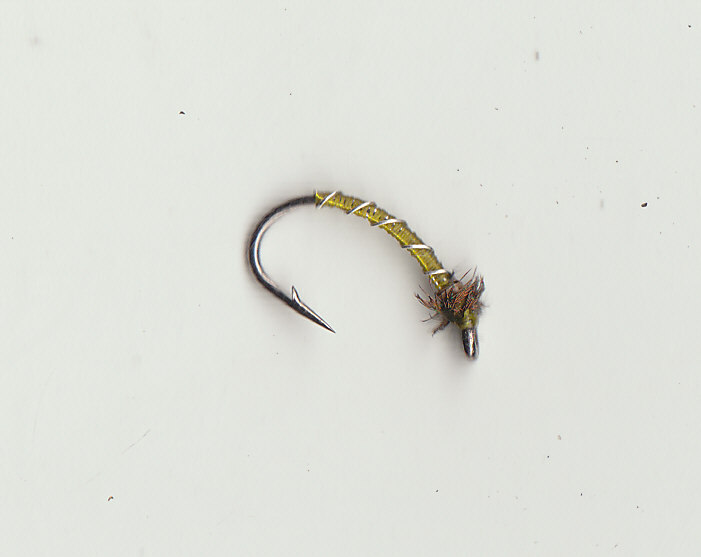 Put something heavy on the point (GB Hares Ear) and put two spiders on droppers, leave 18" between the flies. This is an effective cast if you want to fish at different depths, a useful tactic at anytime of the year and often a good bet for picking up larger fish. Also useful for fishing higher in the water. 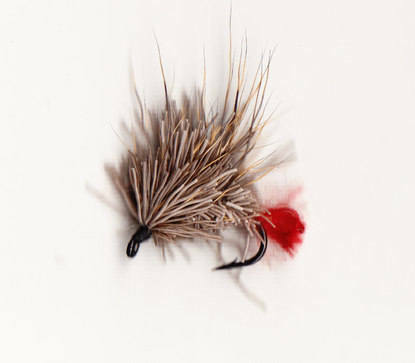 Use a Spiny Norman or Deer Caddis on the bob, with Spiders on the point and dropper, leave 2 to 3 feet between the flies. 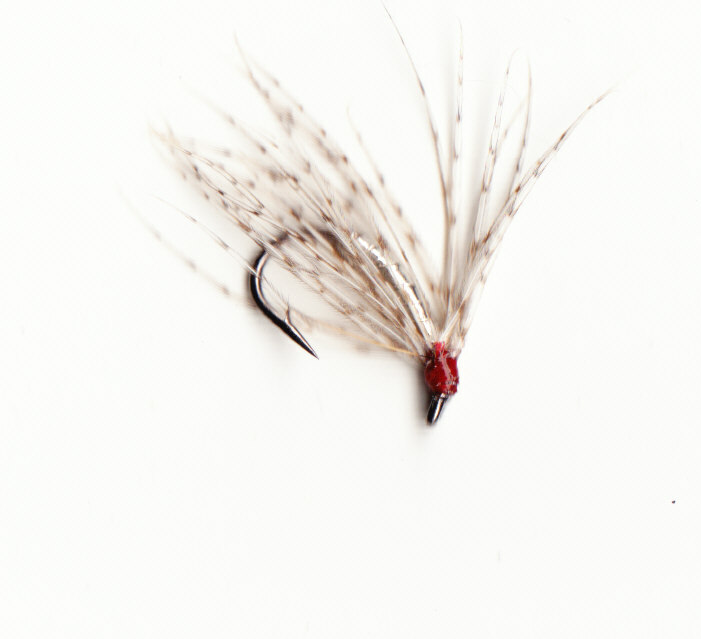 The ginked bob fly acts as a strike indicator. Use a 10ft to 11ft rod and a Double Taper #5 floating line for this method. Distance casting is out, short well controlled casts are the order of the day. 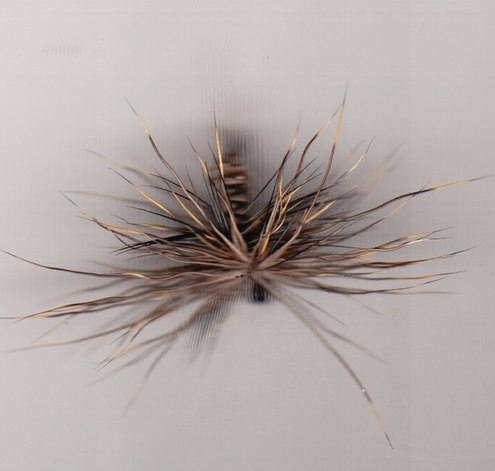 The Bushy dropper fly can be ginked to float, useful on a windy day. Search the water with short casts, retrieve the flies by hand or more often than not by just raising the rod tip. Fish will come up and take either the dibbled bob fly or the point fly 3 to 4 feet behind it. Use this method on loch or river for brown or sea trout. 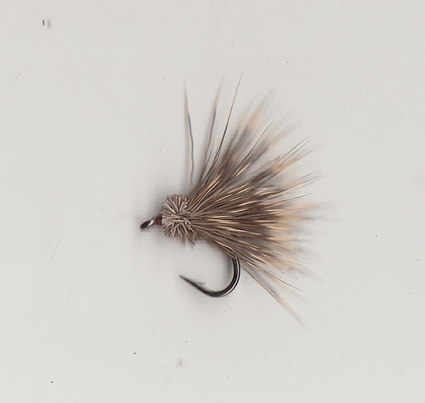 The larger bushy flies are best in windy conditions. 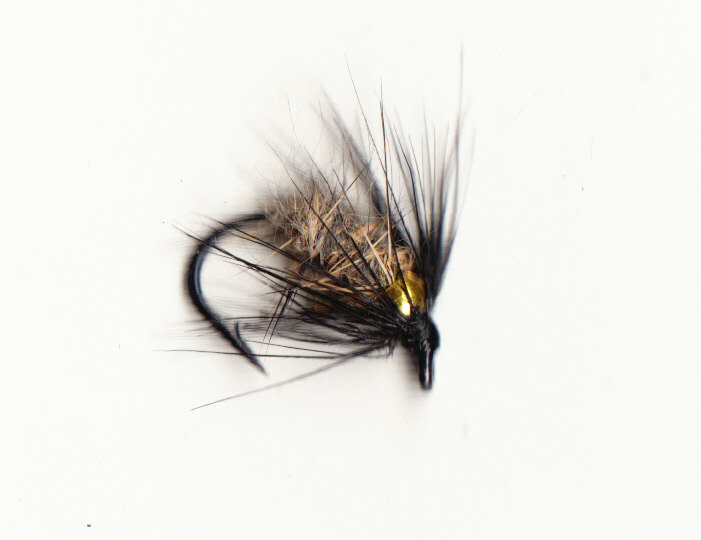 Point Flies - Gold Ribbed Hares Ear, Reids Assassin. 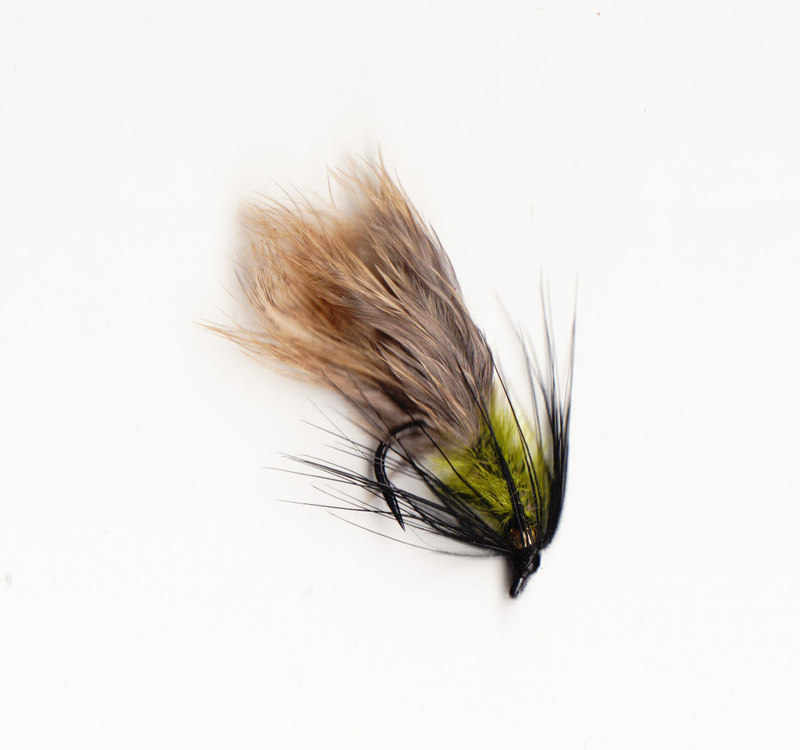 Fish in two fly teams 'The Hebridean Cast', usually something bushy on the bob is the best bet but try any combination to tempt the fish. Two 'point flies' are a good bet in a flat calm for example, or two bushy flies in a blow will bring fish up. 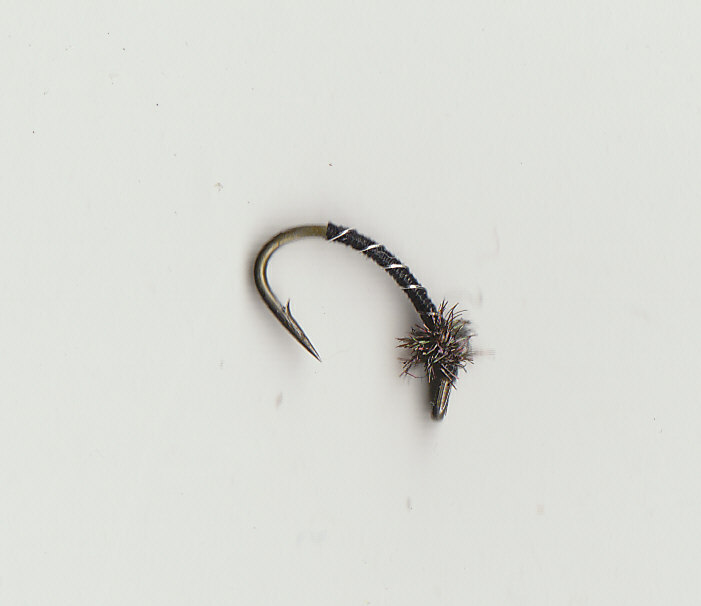 Tied on Kamasan B175 hooks that are strong enough to land any fish. These are great for the point on the loch or river. 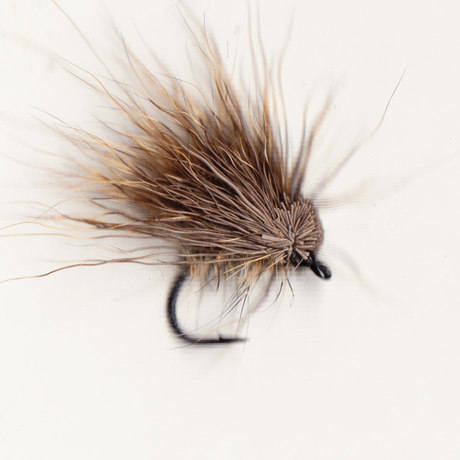 A heavier larger fly anchors the bob fly, especially useful in a wave or fast current. Tied on #12 Kamasan hooks that may well tempt Salmon as well as Trout! Mini Muddlers are always worth a cast, essential in a big wave. Mainly a result of hatching aquatic insects with Midges being the most common in the North. However do not ignore Caddis and Stonefly hatches as well as some smaller upwinged Mayflies. Land blown insects such as Daddy Long Legs, Heather Moths, Hawthorn & Heather Flies can all have their day as well. 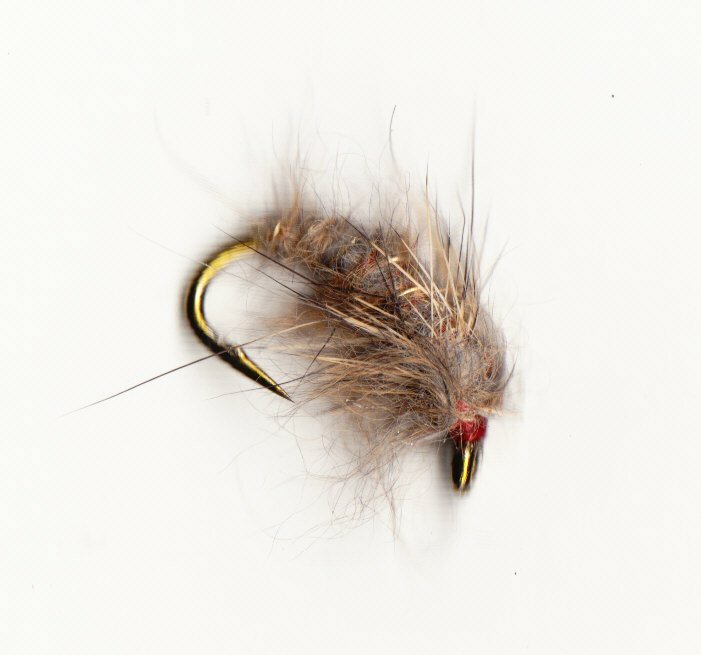 Deer Caddis #14 - The best dryfly to use in a ripple, induce takes by lifting the rod top. Tied in Natural greys and olives. 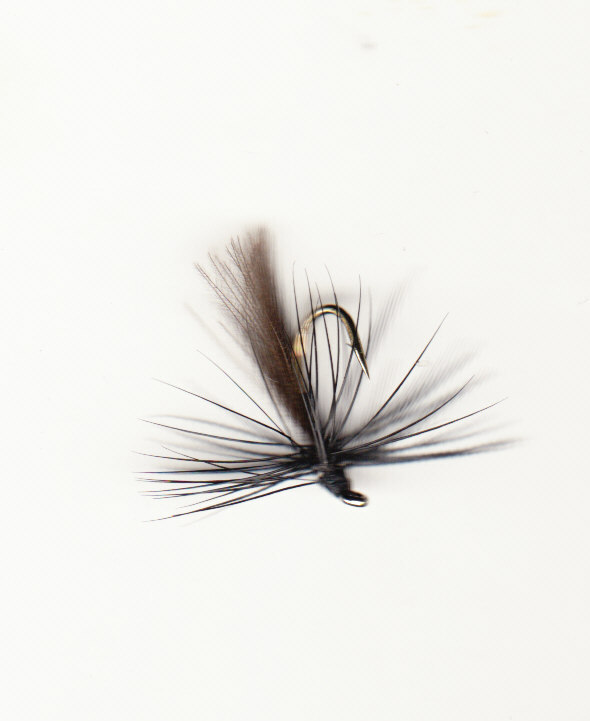 Long Legged Black Gnat #14/16. A Midge imitation and takes fish feeding at the surface in a flat calm, a very useful fly. Straggler Sizes #12/14. 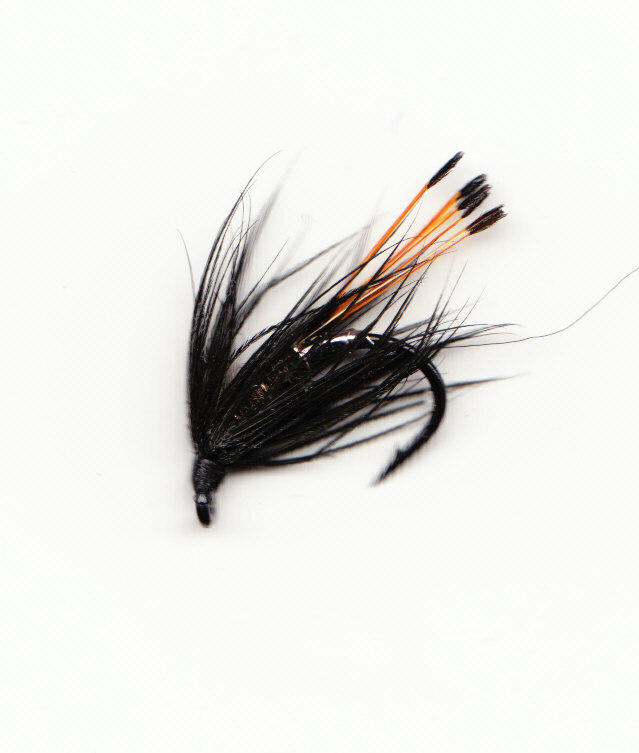 Covers the Larger Daddies and Mayflies, a fly for the top dropper with a smaller fly on the point. CDC 'F' Fly #16. 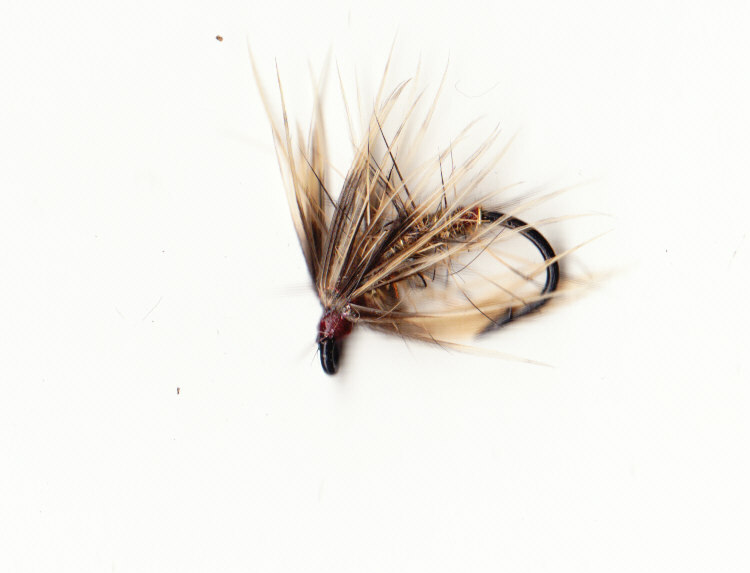 Tied as a dryfly deadly when fish are feeding on small insects. Use these when fish are feeding in the top 2 feet of the water on the point of a two fly cast. 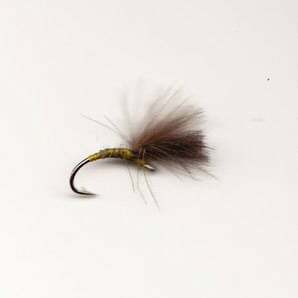 The dryflies listed can be used on the dropper ginked to float the may well take a fish but they also act as a mini strike indicator, if the floating fly sinks, skates or bobs tighten as a fish may well have taken the point fly. 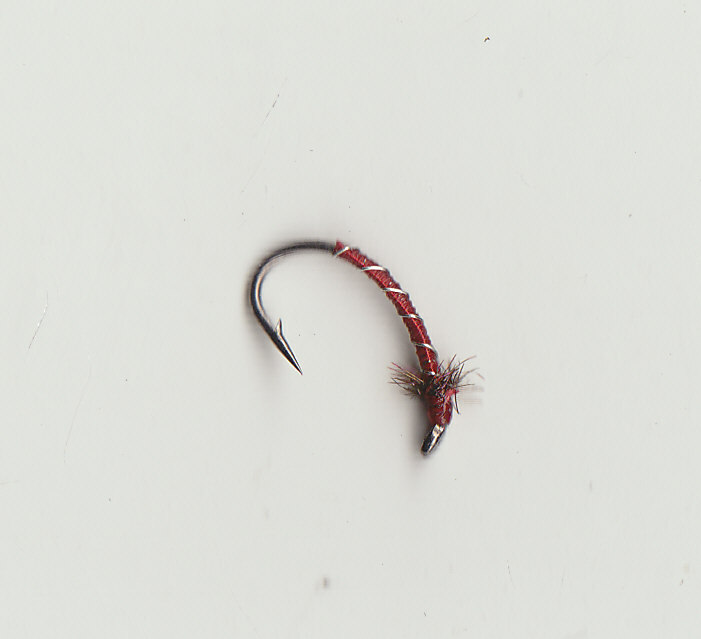 Buzzers #14 Will take fish on any water, a single fly cast into the rings of a rise is a good tactic in flat calms, seasonal colours included. This situation needs two approaches. 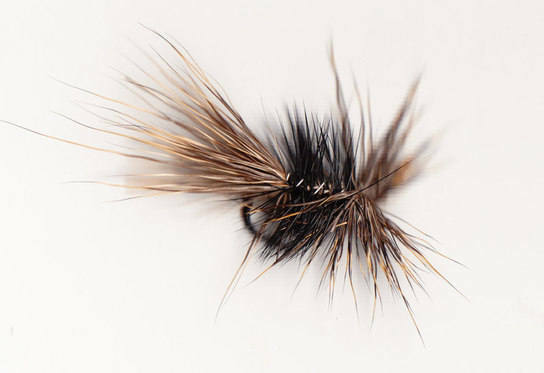 The fish may well not be feeding, the two fly 'Hebridean Cast' is the best bet, something bushy on the dropper and a wet spider on the point will bring fish up on loch or river. The fish may be feeding on aquatic insects on or near the bottom. 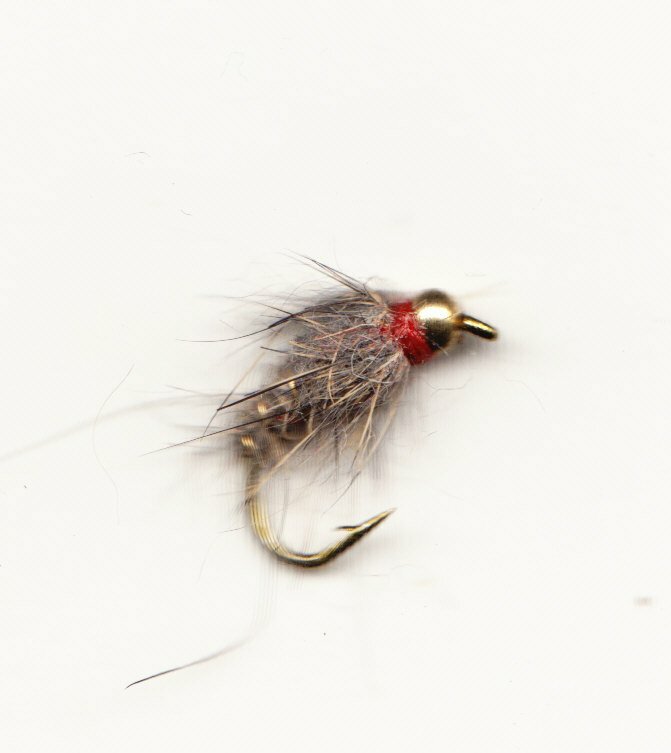 Gold bead and leaded flies can be used to fish deeper and tempt these fish. 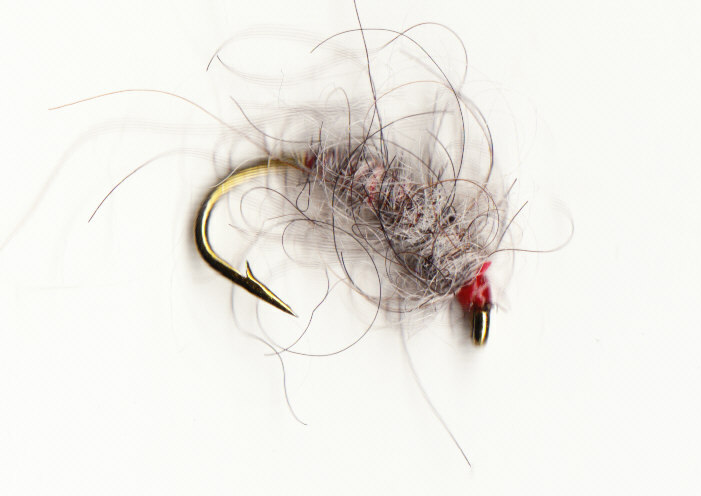 Use these as single flies or in teams of two. Cast out and leave to allow the flies time to sink before retieving slowly. Takes show up by fly line movement or felt as tugs, tighten at either. 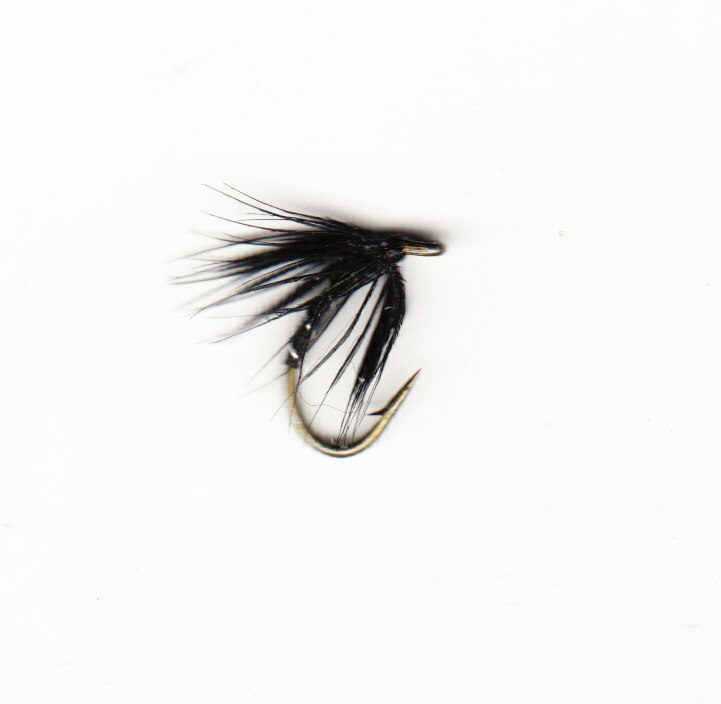 Goldbead & Leaded Hares Ear #10/12 - The Goldbead pattern includes lead as well so it is heavier than the leaded version. Goldbead Peacock Bug #12/14 - Imitates the smaller bugs and beetles that trout love to eat. 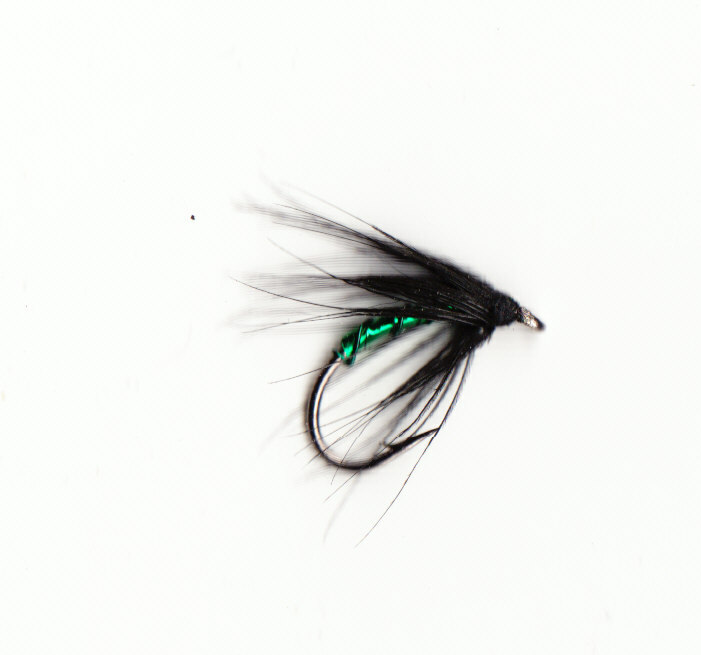 Goldbead Damsel Fly and Black Wooly Buggar #10 - These are mini lures and will work when all else fails, slow to fast retrieves can tempt dour fish on any water.